After dropping a few Weezer covers this past month, Florida emo rockers You Blew It! 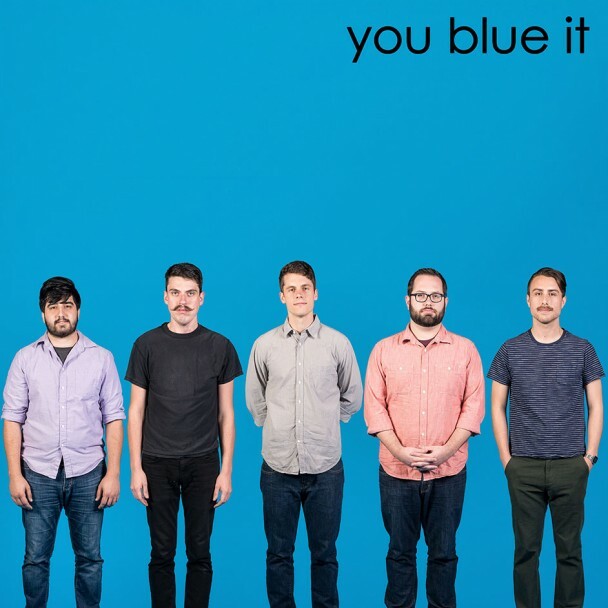 released their Weezer tribute EP, “You Blue It” in full today. 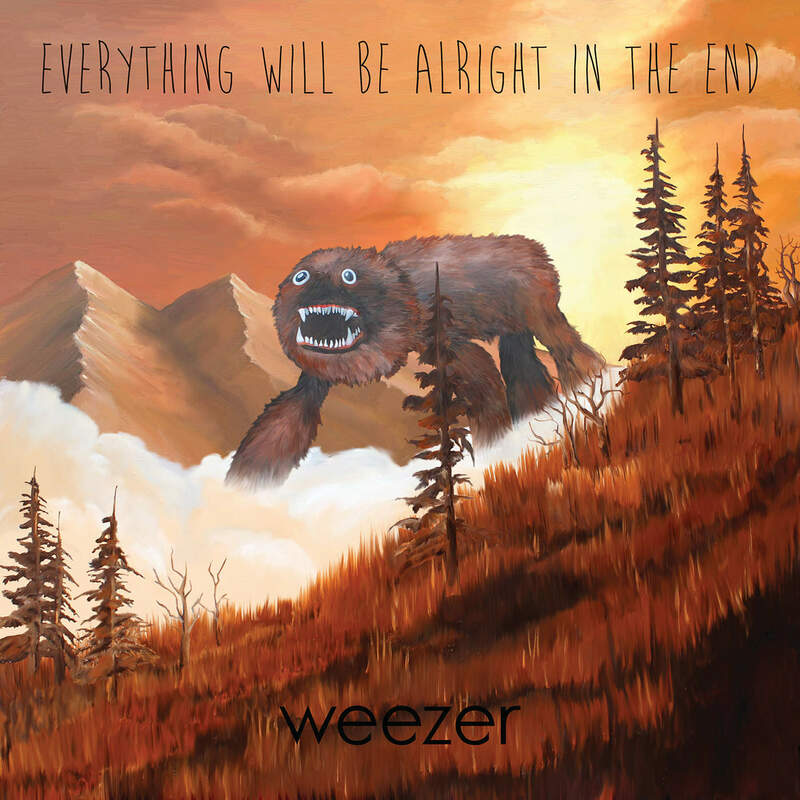 If you loved Weezer’s iconic “Blue Album” and it makes you feel all nostalgic, you’ll definitely want to give this a listen. While they’ve added subtle touches of their own sound and style, You Blew It!’s covers are pretty straightforward and true to the original songs, making this EP a super fun, accessible listening experience. Stream it here, or better yet, support this hardworking, talented band and purchase the EP through Topshelf Records. covers, emo, tributes, weezer, you blew it! Real Estate filmed an intimate live session for French video producers La Blogotheque, and in it, they cover Weezer’s “Say It Ain’t So.” Watch for it at about the 17:00 mark in the video link below. This past week was marked by a celebration of two hugely influential albums from my youth that have had a continued impact on me as a music aficionado/geek: Sunny Day Real Estate’s “Diary” and Weezer’s self-titled debut, most commonly referred to as “The Blue Album.” While the former is mostly revered among smaller circles of avid indie rock and “emo” fans who came of age in the 90’s, the latter has had a continued massive influence among many listeners from all walks of life and has spanned a few generations. Case in point: I work with a kid in third grade who is developing an appreciation for older rock music and whose father recently introduced him to “The Blue Album,” which I think is beyond cool. Weezer and Nirvana were kind of like The Rolling Stones and The Beatles for my generation; I started listening to them in fifth grade when I first really started to develop my own musical identity, much in the same way my parents started listening to the Beatles and the Stones when they were that same age. When I started to reflect on the Blue Album’s 20th anniversary and the defining artists and albums of generations past, I had to stop and wonder, what (if any) are the defining albums and artists of the generations younger than me? And is the idea of listening to an album or appreciating an artist’s body of work even relevant anymore? We can all agree that the huge shifts in technology in the past twenty years have had a profound impact on how we listen to music. CDs were still a relatively new thing when I was in fourth and fifth grade and just starting to buy music. My first musical purchases were cassette singles from 1993-94, and I can remember browsing through racks of vinyl with my parents at the local record store as a very young child. Up until the very late 90s, there was no such thing as downloading songs. The first noticeable shift for me in terms of my music listening habits came in high school when I was introduced to the world of Napster and had instant access to all of the music from bands who absolutely rocked my world as a high school kid who was disenchanted with mainstream 90s/alt rock. These bands I discovered in high school through online file sharing still currently rank among my favorites: Saves The Day, The Get Up Kids, The Anniversary, The Promise Ring, Death Cab For Cutie, Piebald, Pinback, and Sunny Day Real Estate, to name just a handful. The years 1999-2001 marked the beginning of my more ADD-style music listening habits. While I would usually try to download full albums from Napster or other file sharing services, I would often stop at just a few songs by an artist and listen to just that short list followed by a few other songs from another artist right from my computer. I definitely still listened to full albums in high school and college, but because of these relatively new advances in technology and the existence of free music, I found myself making mix CDs and listening to song lists from my computer a bit more often. After Napster, Kaazaa and all those other sites ran their course, iTunes became the next big thing in music, and it made the idea of playlists much more accessible and intriguing. When I started using iTunes I found myself downloading just a song or two by a new band I had just discovered and putting these songs on “new music” playlists. I would also make my own “best of” playlists of artists like David Bowie, The Smiths, or New Order. I still bought CDs more often than I downloaded songs because there was still something sacred about getting my hands on the actual physical copy of the disc and the liner notes and reading the lyrics as I listened for the first time. But the accessibility I now had to obtaining a single song or making a playlist of select songs in a heartbeat (as opposed to taping songs off the radio like I had to do in fourth and fifth grade), made sitting through a full album take a bit of a backseat to a more instant gratification, ADD style of music listening that I was quickly growing accustomed to. Fast forward a few years and now practically nobody is buying music. Most listeners enjoy the majority of the music they hear through spotify or other streaming services, or they rip songs off youtube, and most don’t really seem to care enough or have enough of an attention span to sit through an entire album. I don’t mean to sound like a curmudgeon, but I’m not sure if most high school or college students today have any sense of appreciation for albums at all. Why bother when you have literally the entire world of music at your fingertips at any moment of the day, wherever you go. As long as you have a smartphone, you can listen to any song in the history of music wherever and whenever you want. 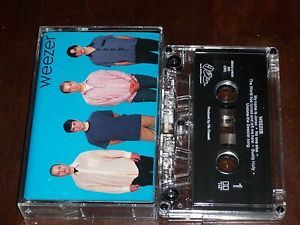 In 1994, we had to either go to the record store to buy an album like “The Blue Album,” borrow it from a friend, or tape a song like “The Sweater Song” off the radio. So naturally we would devour albums as one complete work of art, maybe skipping over songs we didn’t really prefer, but we would sit and listen. I remember a time when I had a shelf of 10 CDs in my bedroom and that was all I had to listen to. So you can bet I knew every single word to every single song on albums like The Breeders’ “Last Splash” or Sonic Youth’s “Washing Machine.” I can’t say that I know every word to all the songs on many of the albums I stream today. There’s just way too much music out there that I keep discovering, and I can instantly access any song I want for whatever mood I’m in. It’s kind of surreal for those of us who were kids when those landmark 90s albums came out. Getting back to my original questions, I think the answers are “I don’t know” and “Probably not.” I don’t think there are any newer, slightly mainstream but still edgy rock acts like Weezer who have that same universal appeal among today’s youth. 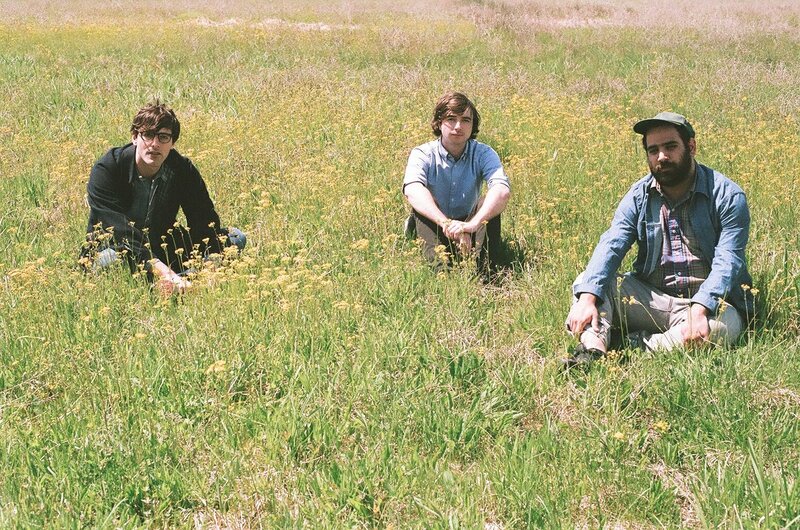 There are several popular postmilennial indie rock bands who have crossed over into the mainstream, like Arcade Fire, The Shins, The White Stripes, and The Black Keys, but none of their albums seem to possess that same je ne sais quoi as “Blue Album” that made it so widely revered among such a huge crossection of kids and young adults. And I think the reason for this is simply the easier, more instant access we have to a broader variety of music. When people have fewer musical options, they tend to agree on or appreciate similar bands and hold a few bands and artists among their most favorite and sacred, but when they have endless options the sense of community and reverence that can develop around a band or an artist kind of goes out the window. I don’t think there will be a “Blue Album” that the current group of nine and ten year olds I work with will be able to look back upon with such nostalgia and deep appreciation 20 years from now. While this admittedly makes me a little sad, it also helps me put things into perspective and accept the current musical landscape we’re living in.